A Dropfront Desk, A Herend Cache Pot and Flame Mahogany Tall Chest! Antique Kelva Dresser Box, Hand Painted with Green Pleated Fabric Lining. Booth 411 – $595.00. Instant Relatives!! 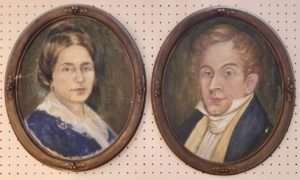 Wonderful 19th Century Portraits – Unsigned, Framed – $230/Pair, Booth 99. 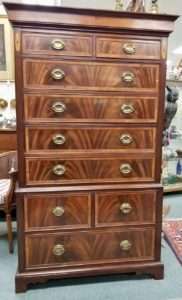 Fabulous Banded and Inlaid Flame Mahogany Chest of Drawers, Booth 314, $1785.00. 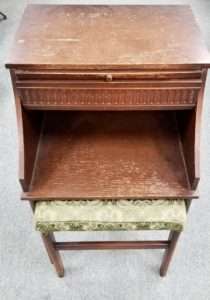 Old Telephone Table, Booth 212, $135.00. 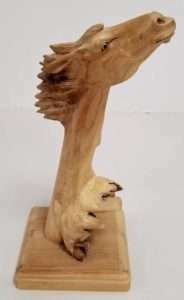 Horse Statue from Booth ‘MAP’, $56.00. 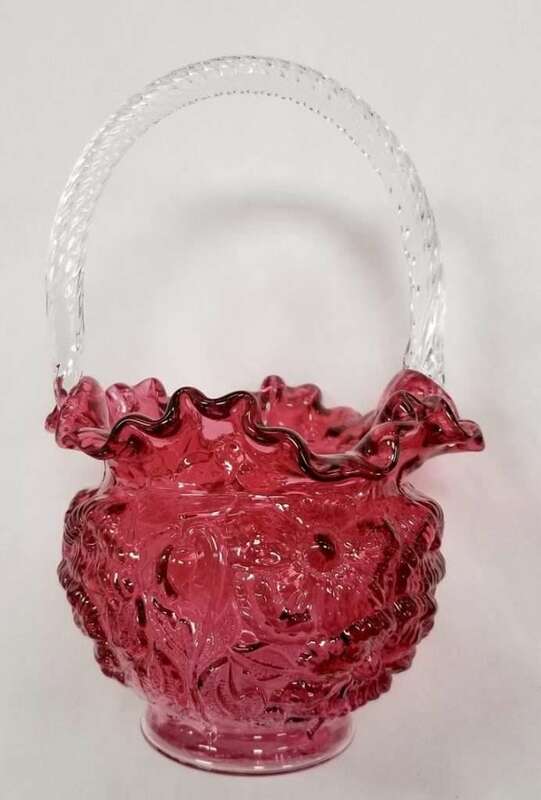 Fenton Ruby Overlay w Embossed Poppies Basket – $65.00, Booth 420. 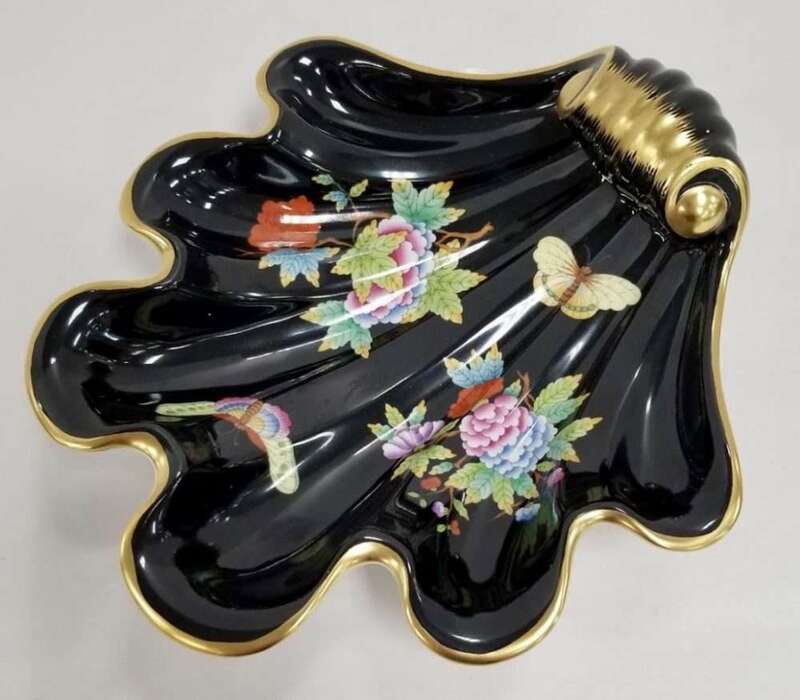 Herend Queen Victoria Shell Dish, $300.00, Booth 31. 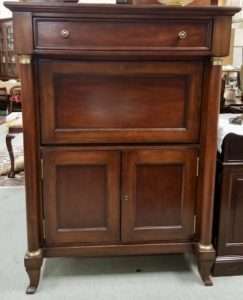 Bernhardt Furniture Dropfront Desk – $1950.00, Booth 314. 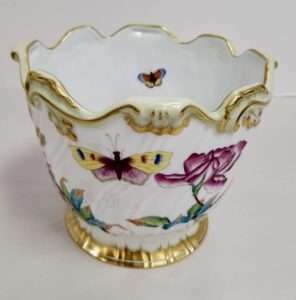 Herend Queen Victoria Cache Pot – $525.00, Booth 31. 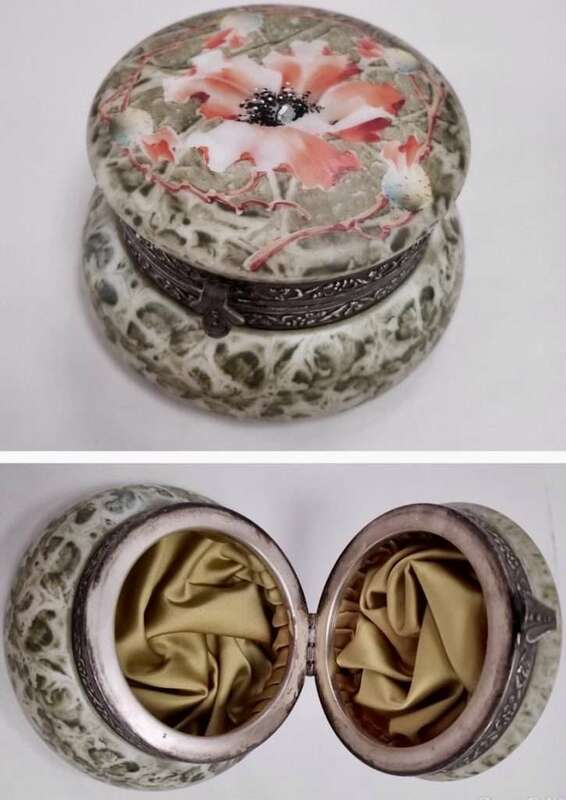 ‹ Six Leg Extension Table, (Clore) – Native American Pottery and a Fabulous Larimar/Sterling Brooch!